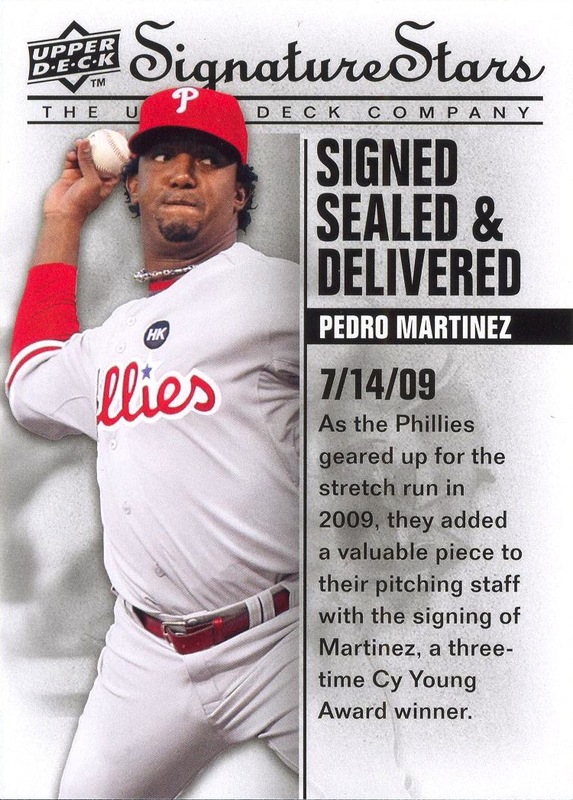 Additional Information: Inserted in packs of 2009 Signature Stars. Over the weekend, I gave some serious thought to something I brought up in a post last week: the fact that my son actually enjoys looking at a digital version of my collection much more than he enjoys looking at the actual cards. This blog is only one such vehicle. 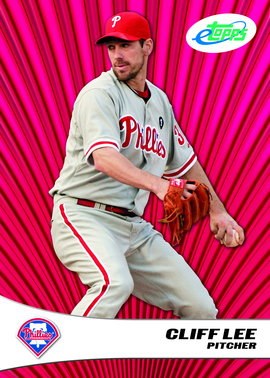 Since I started on a scanning project over a year ago, I’ve also taken the time to produce digital pages of cards once various team sets are complete (click here to see the ones I made for the 2010 Topps Opening Day Phillies set). These PDF files are actually my son’s preferred way for looking at my collection. I find it interesting that while there are so many traditionally paper-based, printed products moving to a digital format, there appears to be so little effort for the trading card industry to similarly adapt. 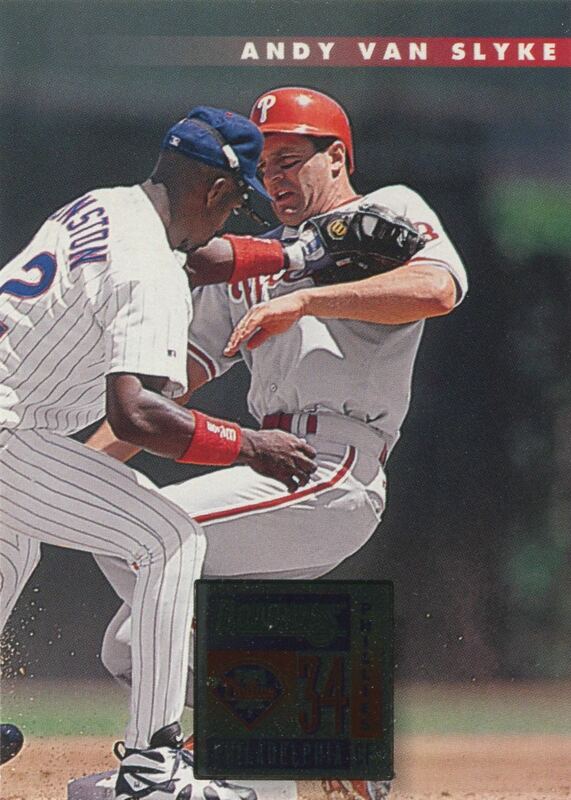 Admittedly, books, newspapers and comics are very different beasts, but there really isn’t any good reason why baseball cards cannot make the transition as well. I think that the PDFs I create prove this point. 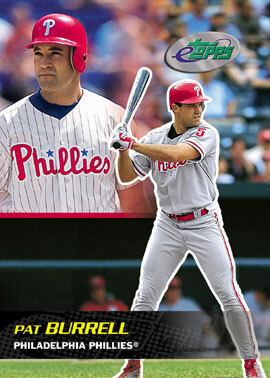 The real issue here is that the trading card industry has to stop thinking of baseball cards solely as physical objects. 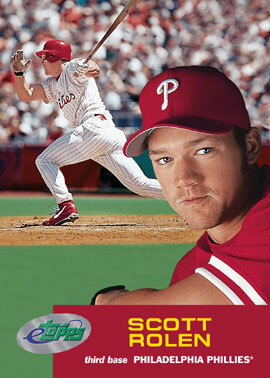 10 years ago, in an effort to try to think ahead, Topps launched the eTopps line. They made it so that you could buy, sell and collect these card lines without actually owning physical copies. Additionally, you could also request delivery of a card in your digital collection. Unfortunately, I think this is where their ability to think ahead came up short. When you request physical delivery of the card, you no longer own a digital version. All you’ve done is move the card into the physical world. 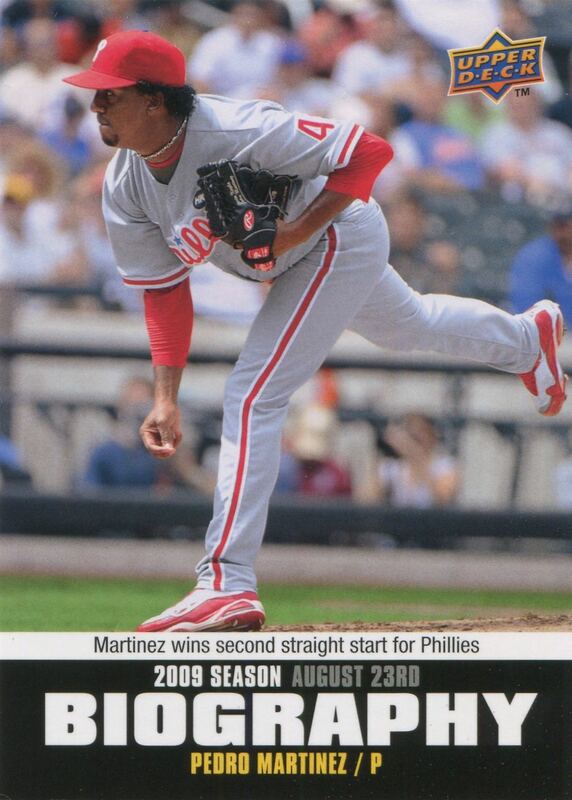 Furthermore, starting with their 2009 issue, you could no longer look at the back of the card online. So, in order to view the whole card, you had to order the physical product. 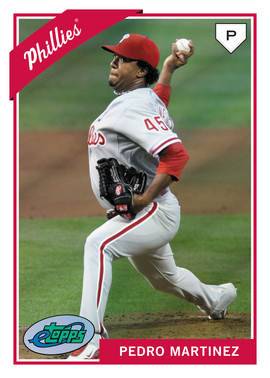 I realize that Topps was looking for some way to maintain the value and collectibility of the cards, but by maintaining the link between the virtual and physical, they didn’t create a true digital product. So, the dilemma is how to create a truly digital product that will maintain its value. Sadly, you can’t. If there’s anything the internet has shown, it’s that people expect the digital version to be cheaper and easily transferable from one computer to another. Furthermore, such items have nearly no resale value. I realize that this is anathema to the whole notion of baseball card collecting as it evolved over the decades, but the fact is that the hobby is slowing shrinking and dying anyway — every year, the number of collectors dwindles and their average age increases. The only way you are going to capture a new generation of collectors is by completely changing how you hook them into the hobby and how they interact with it. How to do this? I already referenced how book, magazines, newspapers and comics are working on this transition. Those industries are providing a digital version alongside the physical copies they are still printing. In addition to printing the actual sports cards, the manufacturers could offer for sale, on their website, DRM-free PDFs exactly like the ones I am creating for my own use. The technology is there to let collectors custom-create the PDF they want, thus allowing collectors of all types to put together a file showing images of the cards they are interested in. Create an affordable sliding scale whereby what you pay is proportional to the number of images in the PDF file. For example, charge $1 for a PDF containing the front and backs from an entire team set; charge $3 for a PDF containing a team set of all main set and inserts; charge $5 for a PDF of the entire set; and charge $10 for a PDF showing every card, main set and insert. Finally, only offer to create those PDFs for one year after the physical ones are released on the market. After that point, you must buy the real cards on the market. Admittedly, there a couple drawbacks to this idea. 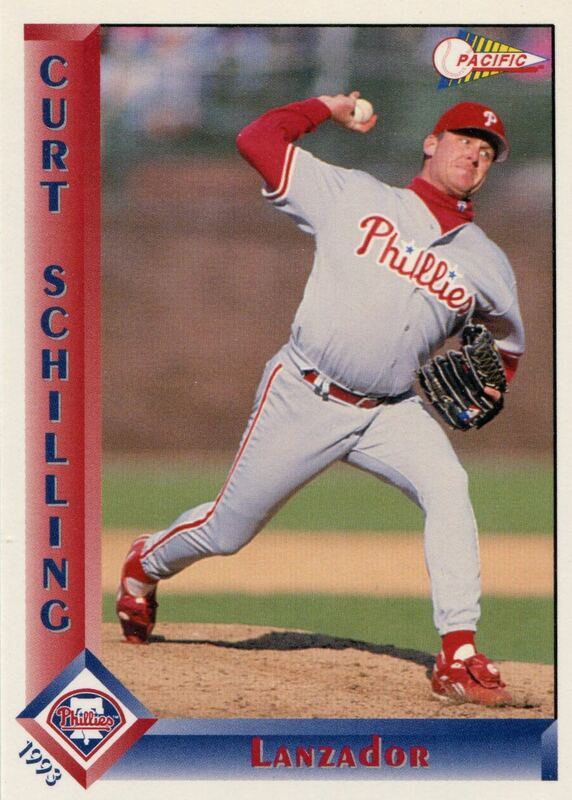 This would probably suppress the value of many cards, but there still would be value in many of them. Furthermore, there’s nothing to stop an unscrupulous individual from posting a purchased PDF to a file-sharing site. However, some studies have shown that doing such sharing actually increases sales. Beyond that, for myself, I know owning a PDF showing the fronts and backs to all the cards — main set and inserts — of Topps Gypsy Queen (for example) would not stop me from buying many of the autograph and memorabilia cards, because they cannot be properly reproduced in a digital format. The manufacturers could also make it so that parallels are only available in physical form. Could this solution fail? Absolutely. However, given the decline of the hobby, any attempt to increase sales is better than sticking to a business-model that is clearly undergoing prolonged death throes. Sadly, while I am hoping otherwise, I do not believe that anyone in the trading card industry is giving any real consideration to transforming the product for the digital age. If there is such an individual, I’m sure that no one in upper management is paying attention to him/her. Otherwise, we’d actually be seeing more of a real effort by the industry to draw potential customers like my son — for whom the traditional concept of baseball cards seems somewhat antiquated. Instead, we’re just seeing more efforts to draw every last possible penny out of those who are still sticking around. It may help to prop up the bottom line in the short term, but in the end, it will only ensure the continued decline of the hobby.